The American Fisheries Society, the oldest professional society in North America dealing with the natural resources, was organized in 1870. 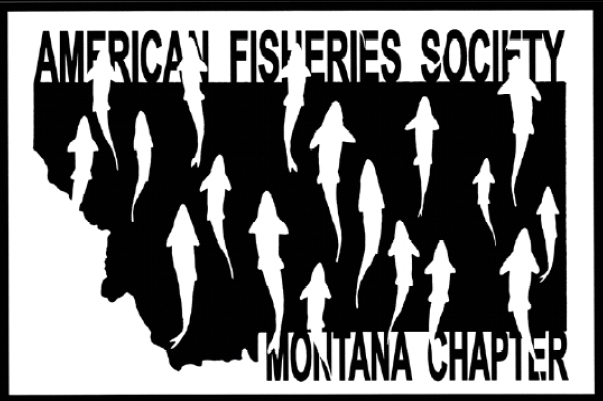 The Montana Chapter of the American Fisheries Society was chartered in 1967. Among its objectives are conservation, development and wise utilization of the fisheries, promotion of the educational, scientific and technological development and advancement of all branches of fisheries science and practice, and exchange and dissemination of knowledge about fish, fisheries and related subject. Chapters were not established as subunits of AFS until 1962. The Montana Chapter was formed in 1967 after George Holton and Dr. C. J. D. Brown polled fish biologists in Montana and found that they overwhelmingly favored forming a chapter. Montana chaptership was officially granted by AFS at their annual meeting held in Toronto, Canada on September 14, 1967. The first annual meeting of the Montana Chapter AFS (MTAFS) was held at the Montana Club in Helena in 1967. Frank Dunkel, Director of Montana Fish and Game, gave the welcoming address and Robert Hutton, the Executive Director of AFS, provided the keynote address. George Holton was installed as President. Since our inception, membership has grown from about 25 to 150 members and our annual operating budget has gone from less than $60 to over $5,000 annually. Presidents elected and serving the Chapter have come from a diverse background. encouraging members to participate in AFS at all levels. wise management of land, water and fish resources in the state of Montana. Over the last eight years, MTAFS has submitted approximately 64 correspondences and position letters to various agencies and groups.